Donavan Hepburn has established himself as the go to guy for huge pop gigs, having sat behind the kit for Cheryl Cole and Take That during huge tours. You can find out a little on his rise to the top at a clinic next month. 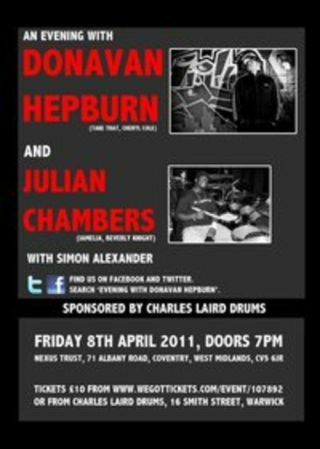 Coventry's Nexus Trust will host Donavan and fellow session star Julian Chambers (Beverly Knight, Jamelia) on 8 April. The Charles Laird Drums of Warwick-backed event also features performances from Simon Alexander and Tim Gordon. Tickets cost £10 and are on sale now. Head here to book your place or get them in person from Charles Laird Drums in Warwick.